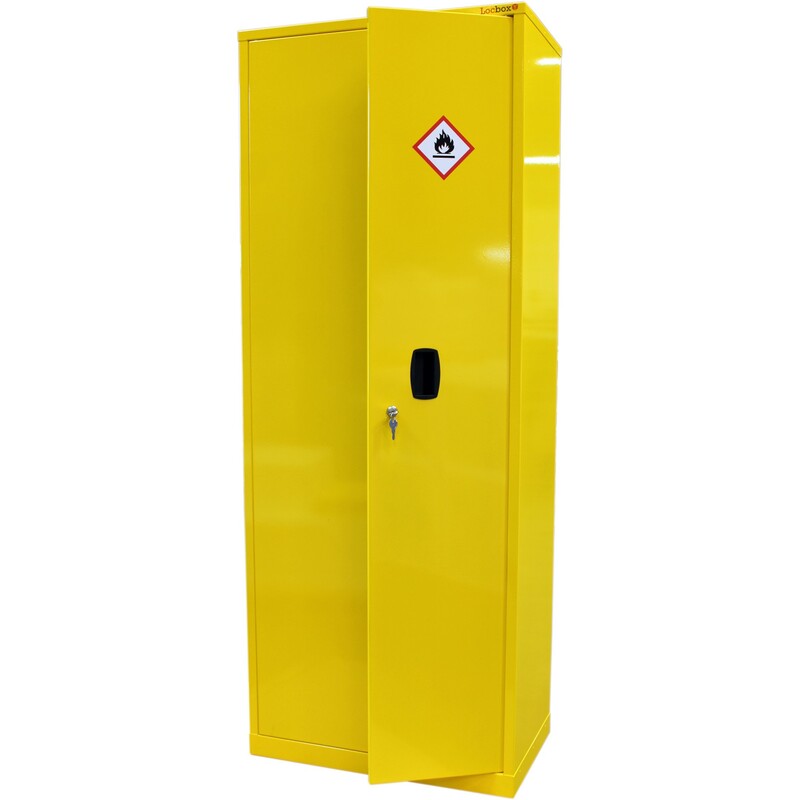 Double Door Hazardous Substance Cabinet with two half width shelves. 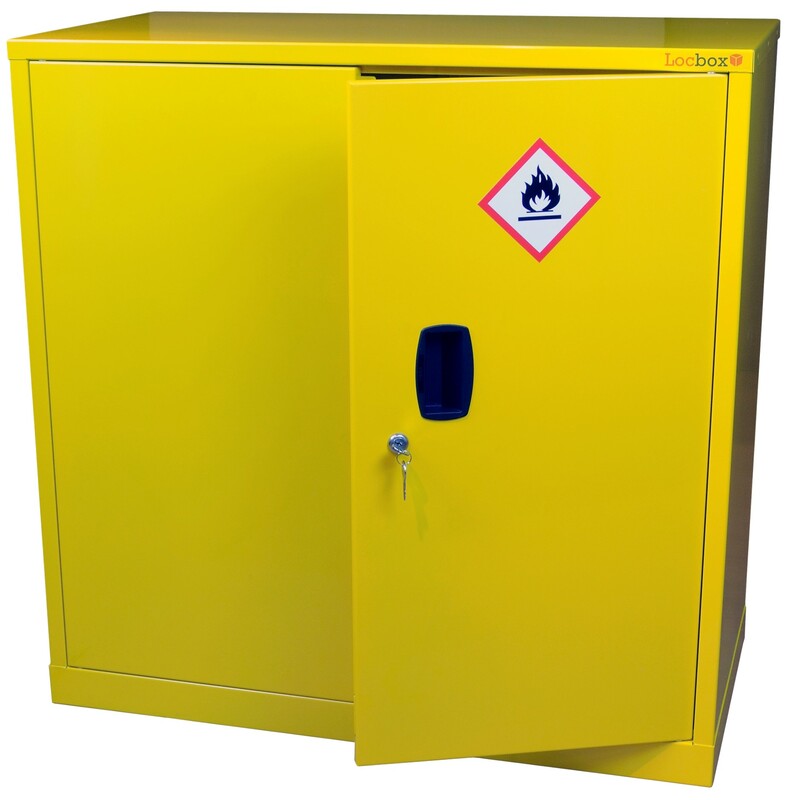 This hazardous substance cabinet haz994d features two half width shelves and double doors. The cabinet is designed to improve the overall safety of your working area. It does this through restricting access to substances which could be potentially harmful. Furthermore the cabinet allows storage of hazardous substances as set out by the CoSHH regulations. 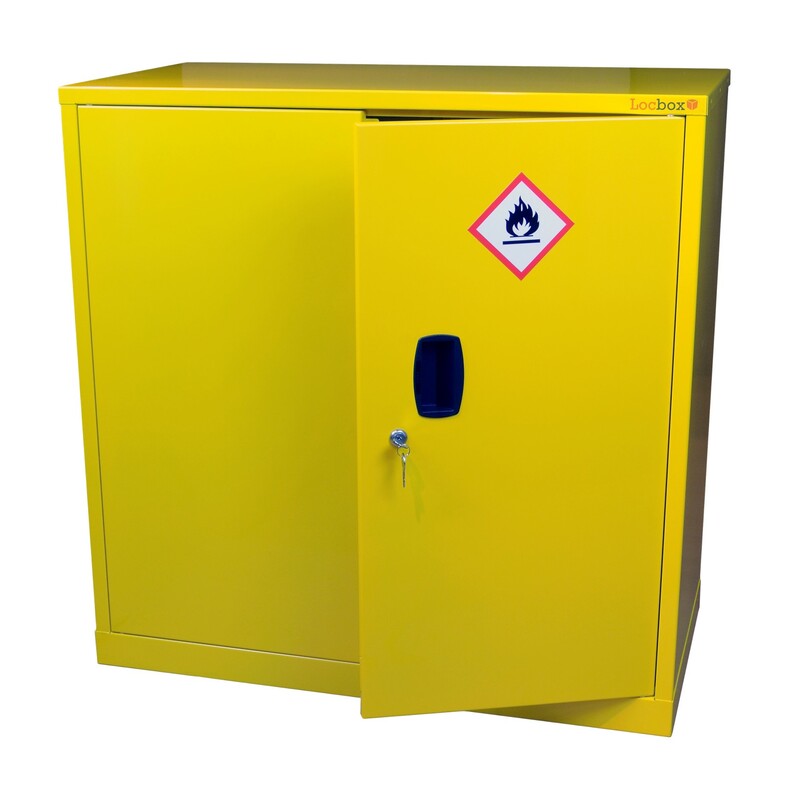 This hazardous substance storage cabinet features a fully welded sump. The sump holds the required 110% of the maximum volume of the largest unit stored within the cabinet. This is set out in CoSHH regulations. Additionally, the cabinet is clearly marked with the required regulation labels. 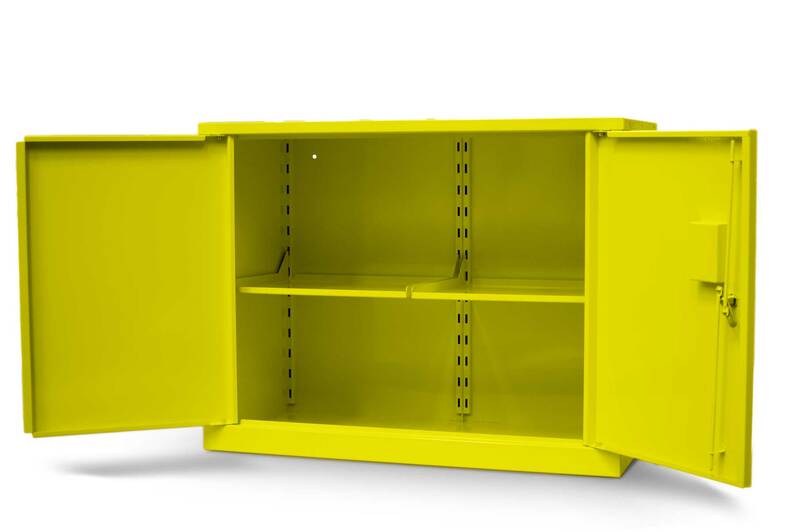 Furthermore the cabinet is finished in an epoxy powder coat yellow to increase visibility. 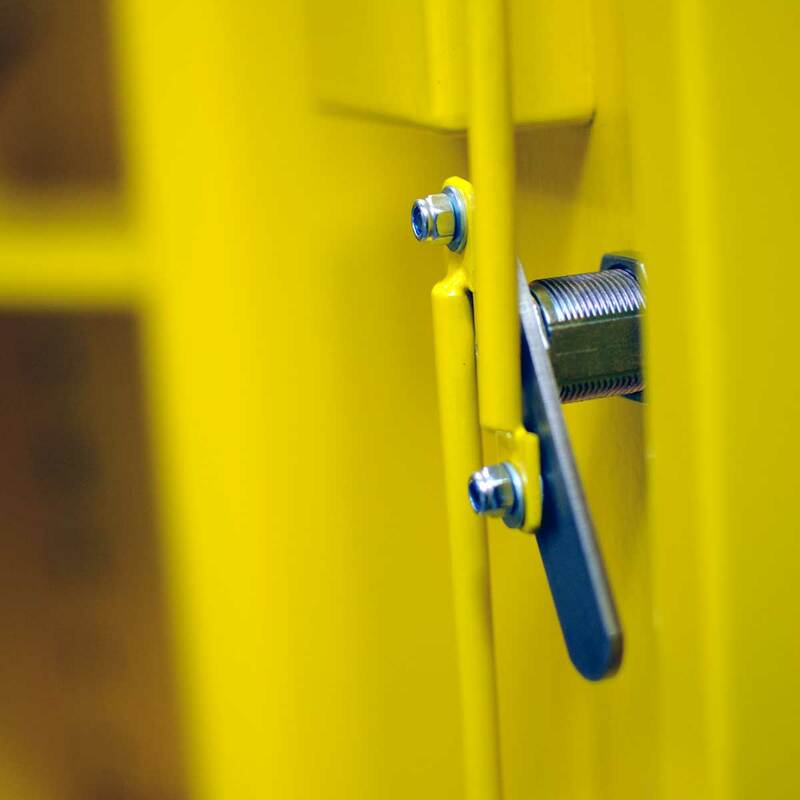 The cabinet features a smooth action 3-point rod lock to prevent unauthorised access. Furthermore it features a pull handle fixed to one of the doors. Additionally, the cabinets’ smart design reduces the areas of removed metal for handles etc. increasing security and improving its containment. 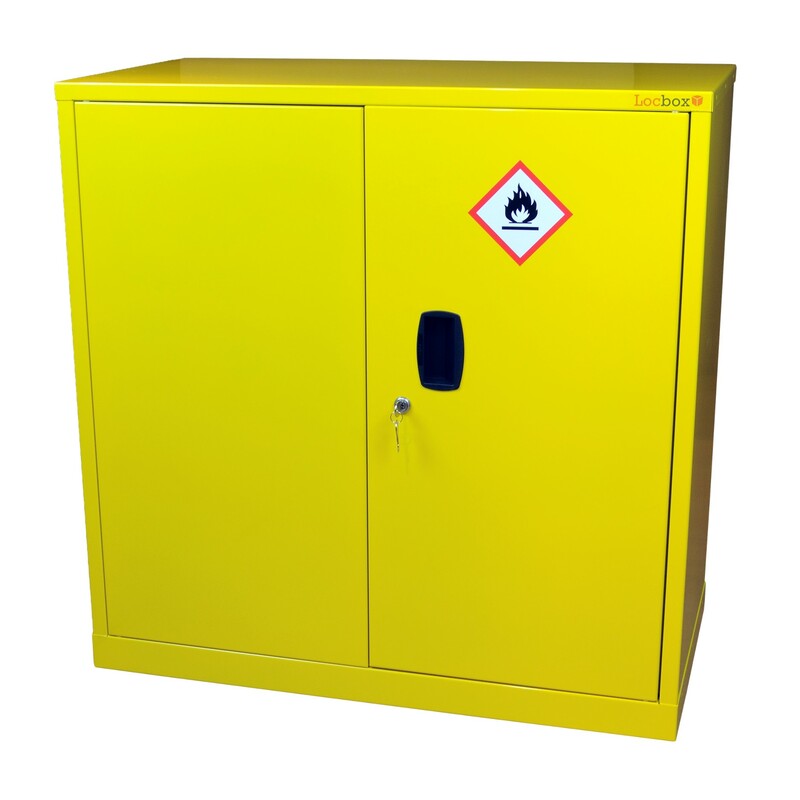 Internally, the fully welded sump and adjustable shelf combine to maximise this hazardous substance storage cabinets storage area. Furthermore, the shelves design features a tilt to channel any liquid spillage down and into the sump of the cabinet. Fixing holes in rear of cabinet (fixings not included). If you would like any further information on our hazardous substance cabinets, please do not hesitate to contact us. 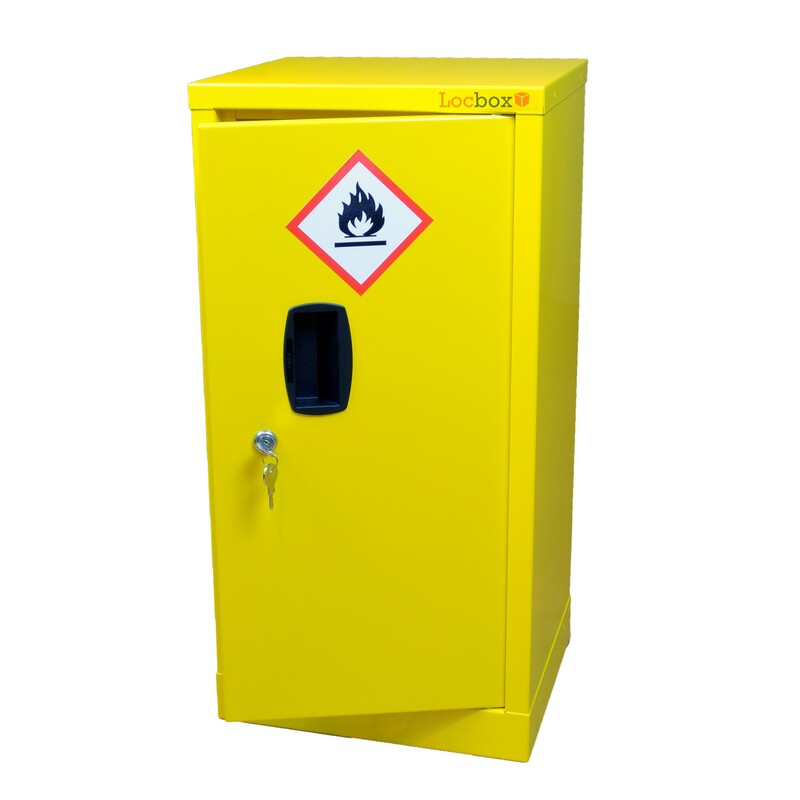 Hazardous substance cabinets manufactured in Great Britain.